Gulfstream Park in Hallandale Beach, Fla. 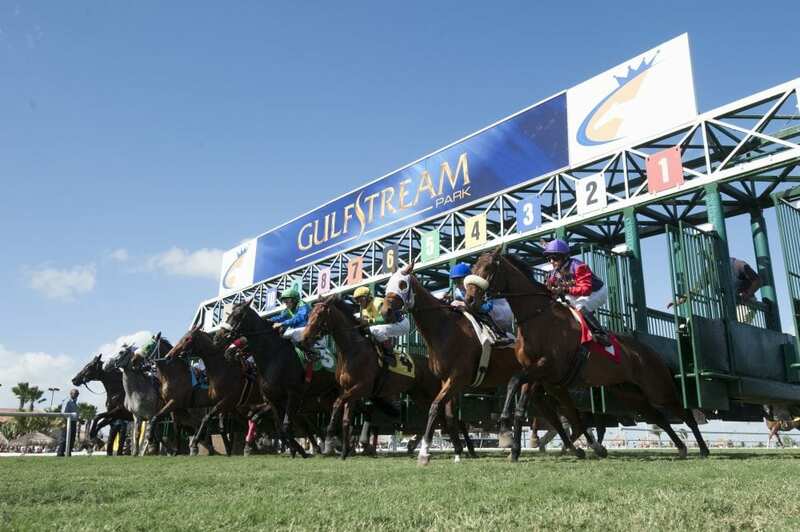 The 20-cent Rainbow 6 will offer a carryover jackpot of $264,489.82 when live racing resumes at Gulfstream Park Thursday. The popular multi-race wager went unsolved for an ninth consecutive racing day Sunday, when multiple tickets with all six winners were each worth $3,937.20. There will also be a Super Hi 5 carryover of $3,432.05. This entry was posted in Horseplayers and tagged carryover jackpot, Gulfstream, gulfstream park, Horse Racing, horseplayers, jackpot wager, pick 6, Rainbow 6, Rainbow 6 carryover, Wagering by Press Release. Bookmark the permalink.